The WJW Fox-8 News annual Fox Trot race featured a special component related to the Brecksville-Broadview Heights City Schools last week, as Lauren Ramer was recognized in front of the entire audience for recently being named an ambassador for Alex’s Lemonade Stand Foundation, an organization dedicated to childhood cancer research. 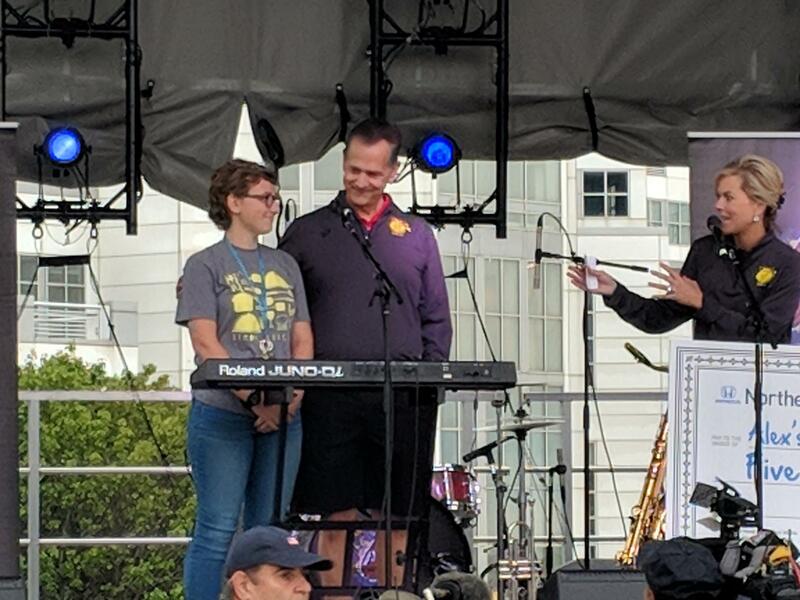 Asked to join the stage by on-air personalities and Fox-8 anchors Lou Magglio and Tracey McCool, Lauren was introduced as an individual who is on the quest to raise funds for childhood cancer research. She and her family have demonstrated poise, grace and tremendous resilience in their personal challenges related to cancer, and the untimely passing of her brother Brent last year. Lauren and her family are not only wonderful ambassadors for Alex’s Lemonade Stand Foundation, but also for the BBCHSD and this most worthy cause. Congratulations on this recognition.